It’s summer in Washington, and, as we’ve been reporting, housing reform is in the air. 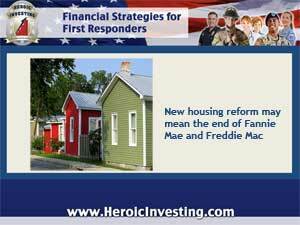 The bipartisan Corker-Warner bill and the Republican-backed PATH (Protecting American Taxpayers and Homeowners) Act are aiming to revamp government housing policy, and both bills are taking aim at venerable lending agencies Fannie Mae and Freddie Mac, the troubled mainstays of government-backed mortgage lending. These lending services have been around for years, supplying the majority of home loans offered nationwide. But because of that, they played a major role in the subprime mortgage crisis that led to the housing collapse of 2008. Eventfully both were placed into “conservatorship,” temporary holding pattern that allowed the government time to figure out what to do with them. According to a recent report by Inman News points out that these venerable lending agencies n itht5 be a4ound a lot longer than the PATH Act specifies, though. Wrangling over the bills passage, a Democratic President likely to veto at least parts of it, and delays in shifting to privatization are al factors that could delay the timetable for phasing the two agencies out.